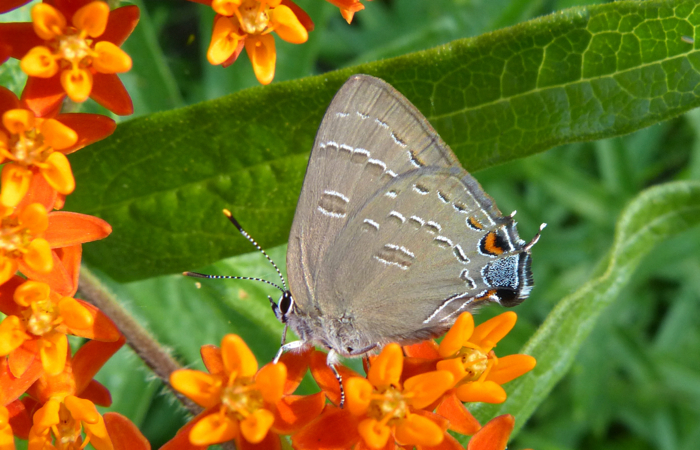 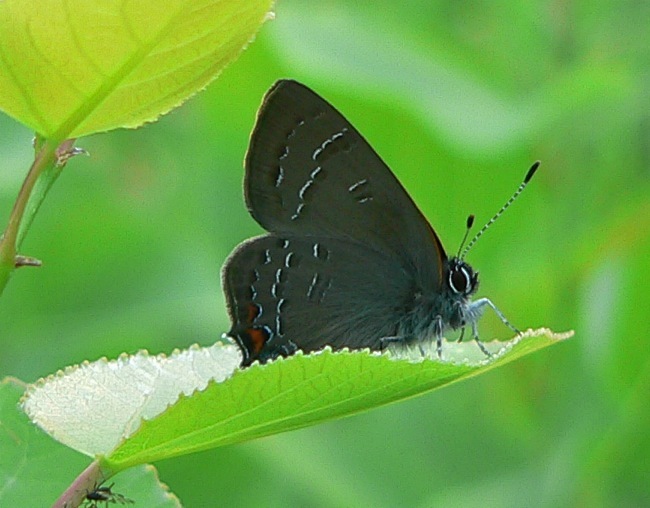 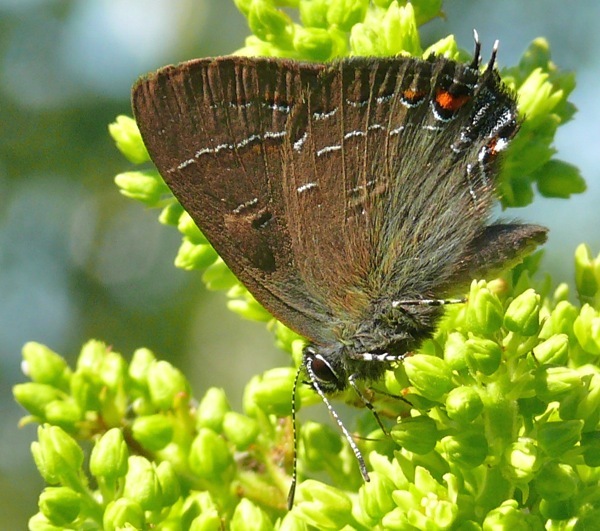 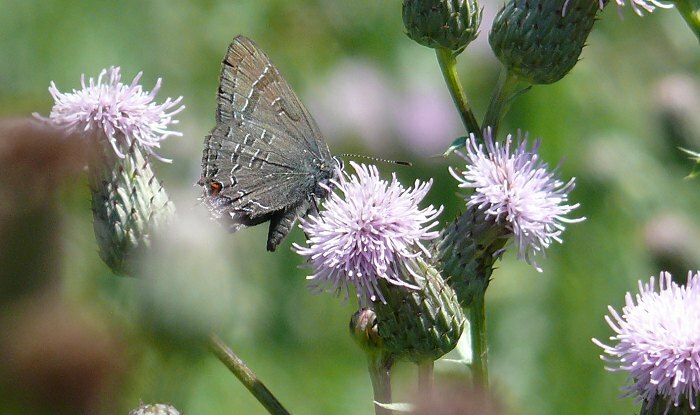 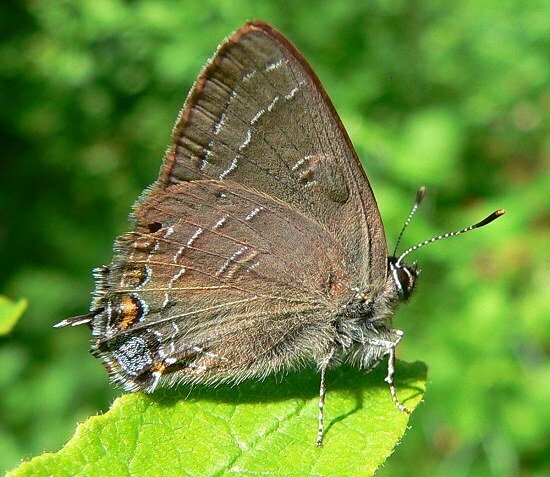 This is the most common hairstreak we see here. 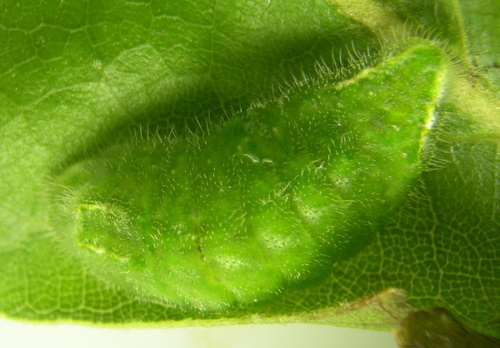 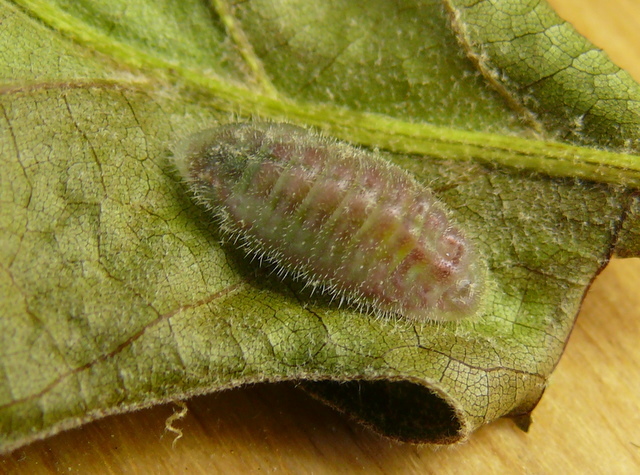 I found a Banded Hairstreak caterpillar eating oak leaves on 6/7/09. 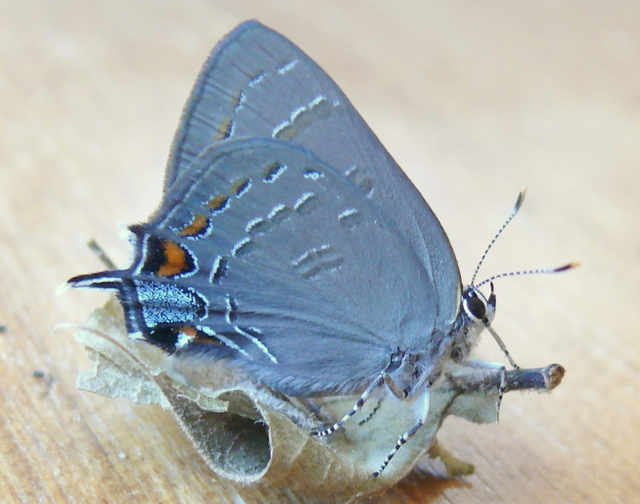 6/10/09 – it had changed color.